Tell us a little about your time at dBs Music, the course you chose and what made want to study with us? I studied the DJ & Electronic Music Production diploma at our Bristol centre. 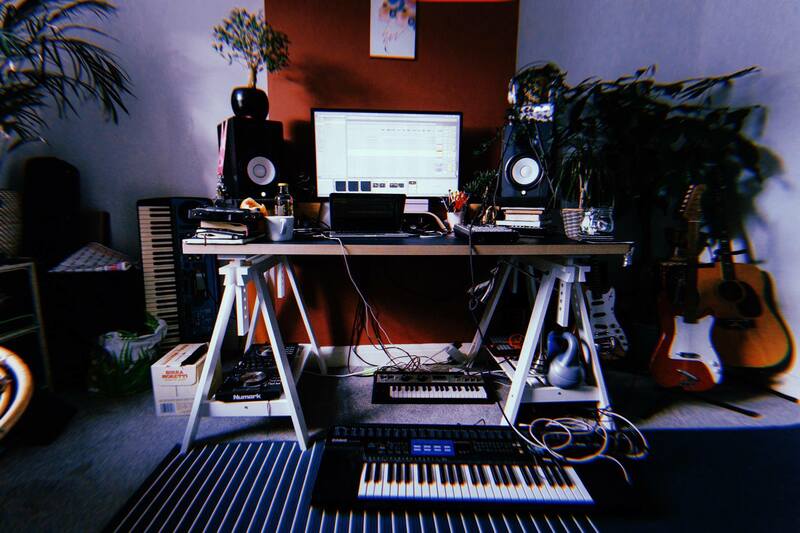 I wanted to study production so I could construct and record an EP from scratch (as I originally approached the course as a singer-songwriter), however once I got stuck into the course I found myself getting way more interested in electronic music production. I went from laid-back acoustic songwriting to chopping up samples - trying to replicate the triphop-y Bristol sound - this eventually evolved into me being interested in the lo-fi genre. There were loads of parts of the course which surprised me with how much I enjoyed them: organising events, learning a little bit of scratch with my tutor Frenic (Sam Fergusson) and understanding microphone placement/experimental recording techniques. I found a new passion for Foley (recording ‘found sounds’ with the H2N zoom mic). It really opened up my mind to the idea of creating sound for media, as well as using Foley for texture or percussion in my music. In contrast, the college I was studying at before I joined dBs Music didn’t have very good facilities for music production and the tutors didn’t seem very modern in their music tastes. When I came to interview at the Bristol centre I ended up feeling so inspired by the amount of studios and hardware available to students that I had to study there. I had a chance to speak to the tutors a little before I started and they seemed much more like-minded and creative than my tutors at the other college - I felt I could trust their judgement and guidance when trying to improve my music production skills. Alongside working as one of our amazing admissions team advisors at dBs Music, you're also involved with radio show and events project Echo UK, which is on the cusp of celebrating its first birthday. How did you first get involved? I was really involved within the lo-fi community online, taking part in loads of groups dedicated to the genre and through that I met tons of amazing undiscovered music producers from all over the world. 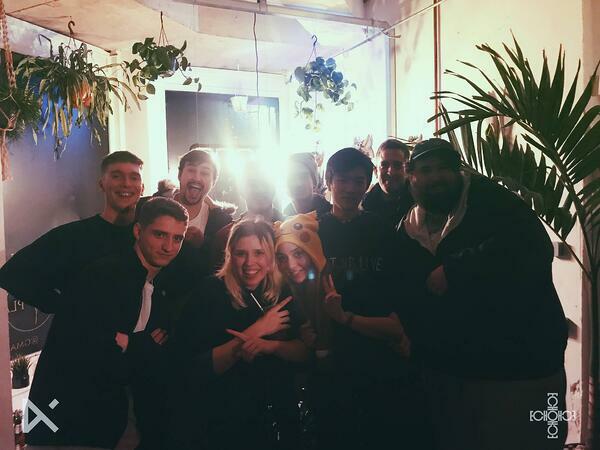 I was already working with my friends over at Echo UK hosting events in Bristol for lo-fi music as we felt no one was really playing it at any music at venues here yet. So when we saw 1020 Radio had some available residency slots we saw it as an opportunity to give all the amazing production connections a platform to showcase their underground music. Echo and co. after their show at Glitch. The best part of doing the show is getting so many eager music producers from all over the world to contribute, where originally, there may not have been a place for the smaller artists to send their stuff. There are YouTube channels and online radio stations that play lo-fi, but a lot of them seem inaccessible to artists with a smaller following as they’re also looking for a more formulaic version of lo-fi: the ‘study beats’ sound. As the show has been growing within the community we've found ourselves starting to have other platforms reach out to us about creating similar shows to our 1020 with them instead. As Echo UK has grown you've branched out to new shows after 1020 Radio. What are you currently working on? We've continued on with a radio show on KEAKIE music that has a similar format to our 1020 show - it's composed of mostly submitted tunes from the community with a bit of chat from me & Saro (one of the founders of Echo & other host on the show). It's still early days but we've been told that our episodes have been doing really well actually, our first show came 2nd in 'Hip Hop' within a few days or so of airing. We've also been in collaboration with Cloud 9 to make more shows based solely on interesting music we want to share, that also ended up being pretty successful (coming 2nd in Global IDM chat, 3rd in Global Experimental Chart and 7th in DnB Chat on Mixcloud!) The best bit about working with KEAKIE & Cloud 9 is that they're run by other creators that are active in the lo-fi scene, so it really creates a strong sense of community and is a testament to how supportive everyone is of Echo's vision. 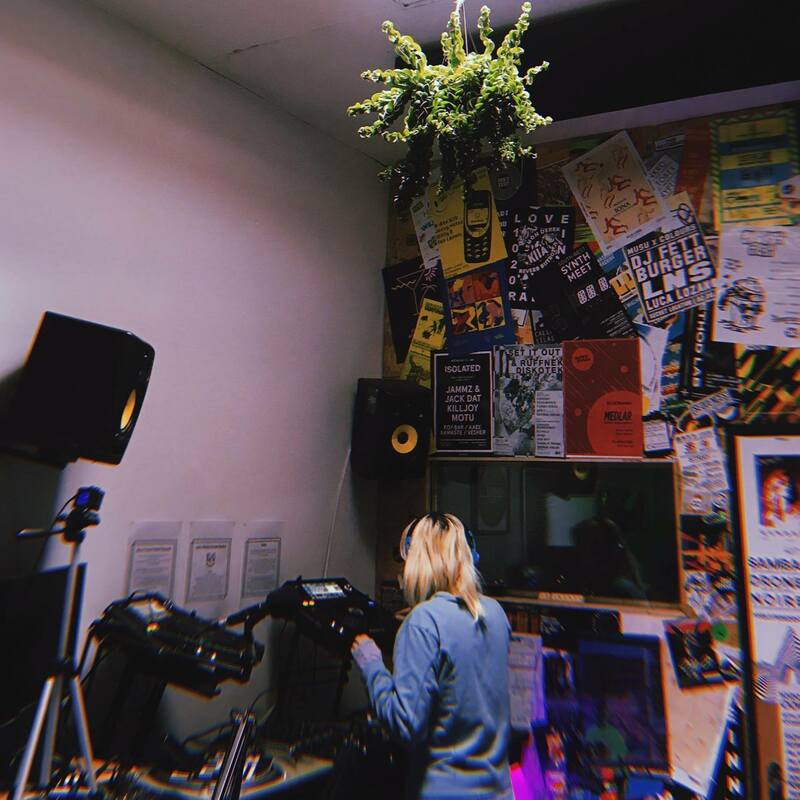 The shows are naturally leading on to other ventures also, we're starting to curate more music production resources for artists who want to get involved with what we do and alongside that we've started curating Spotify playlists so our listeners have something to listen to in their downtime. We're really blown away by how much people resonate with Echo and we're looking forward to the upcoming projects we've lined up for our followers! Alongside Echo UK, you also produce as saaaz. How did your passion for music develop into the work you create now? When I started getting more into electronic music production I was interested in dance music genres and wanted to get my head around dubstep, which was really popular when I started learning to produce. I didn't quite have the aptitude for creating complex synths for dubstep though, so I ended up making a lot of trip hop as it just seemed to come to me more naturally since it incorporated sampling. Sampling came easier to me than creating synths, I saw it as an ‘audio collage’; the process of it fit better with my creativity than synthesis did. I had actually been fascinated by sampling since I was young, without even realising it. Artists like Lemon Jelly, Pogo, Skrillex, Gorillaz used the technique and without knowing I'd noted it as the 'stand out' aspect of their music that I enjoyed. Sometimes, in music, sampling can be a bit 'taboo' if it’s not edited that much and taken from mainstream resources. I mean this in the fact that, ideally, you want to have it as a part of your song (adding melody or a little ‘flavour’) but not to be the main focus of it or ‘recognisable’. This is mostly due to copyright restrictions but also for your ‘musical integrity’. There are a lot of fellow producers out there which will scrutinise you if you're sampling in a way they don't deem as original enough or think you’re being ‘lazy’. When I discovered lo-fi I thought it was an amazing protest to this mindset, lots of producers just taking full samples and adding on to it (usually percussively), it sparked a love for making music for the fun of it in a way other genres had not for me. From there I honed my sampling skills much more from just trying all different techniques and being more liberal with everything I used, I was no longer intimidated by the idea of copyright or judgement, as all of my favourite artists had embraced this style of producing. I’m now working on an album for saaaz which will be released later this year using lots of sampling techniques. Your track 'boneless' was recently featured on Women of the World Vol.2 by Inner Release Records. How was the track chosen? 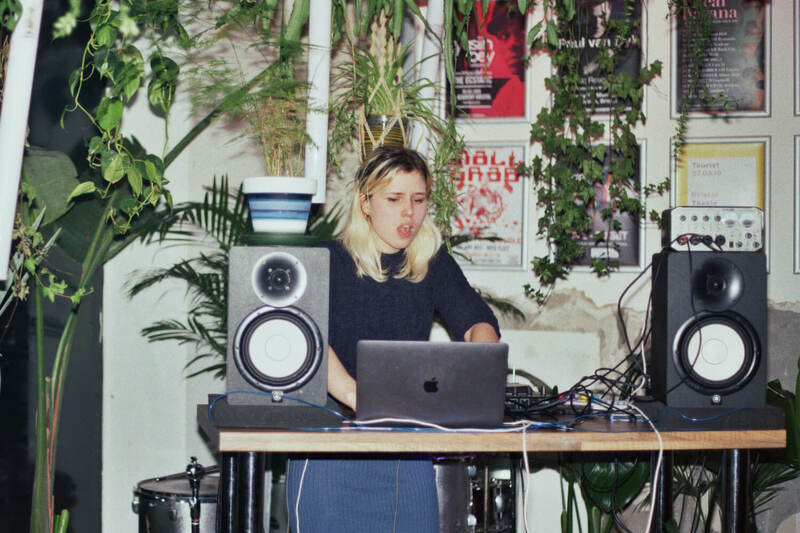 The female music producer (SADIVA) who helped organise the first tape release last year was actually someone I'd met in the lo-fi community previously. She ended up directly getting in touch with me requesting I submit something for the second tape release. I ended up going through all my unreleased tracks to try and find the right track to fit the vibe of the tape. When I was contacted along with the other producers chosen, we all were really excited to promote the tape, however we never would have guessed Women of the World Vol. 2 would hit number 1 on the Bandcamp Hip Hop section as well as be featured on their article post 'Best Beat Tapes of March 2019'. Any advice for others thinking about joining dBs Music or wanting to get involved in your radio show? For those looking to join dBs Music I would greatly recommend it. It’s great to grow your skills independently, however, joining a course in something that inspires you usually yields results that you wouldn’t have had if you were trying to explore the subject alone. I discovered so many aspects of music production that I wouldn’t have if I was just making beats in my bedroom. I also progressed much faster as I was in an informed environment around others musicians also striving to improve in their production skills. The atmosphere here is great also, I definitely wouldn’t have been so enthusiastic to work here after studying if that wasn’t the case. For those who are interested in our radio shows/podcasts you should definitely check out our social media and see if you think Echo UK would be a supportive platform for your music. We don’t just stick to radio shows, we do video edits, guest mixes, events, sample packs etc. We’re collaborating on more platforms like Keakie, Cloud 9 and also have more plans for working with Bristol radio stations! Where can people find out more about you and hear your music? Our shows are on multiple platforms online and on Bristol radio stations, however it’s best to check our Facebook page as a starting point so for links & submission information! There’s also that info available on our Instagram, Soundcloud and Mixcloud too. Click here to find out more about where our other alumni have found themselves since graduating from dBs Music.